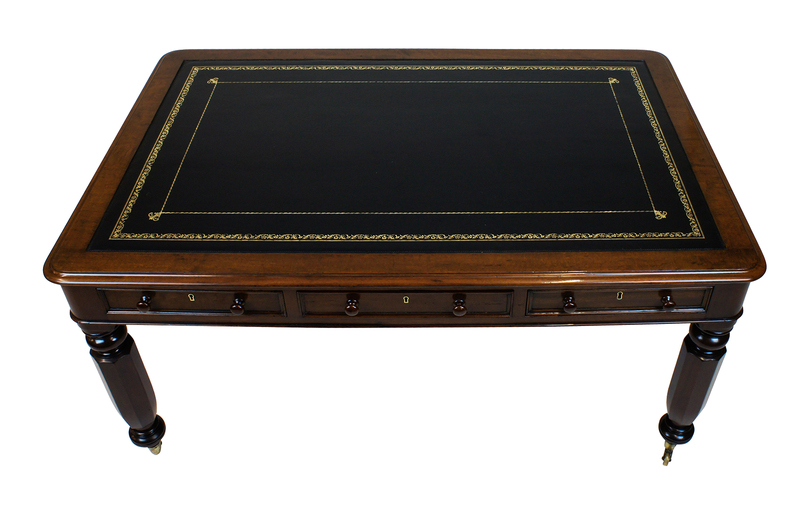 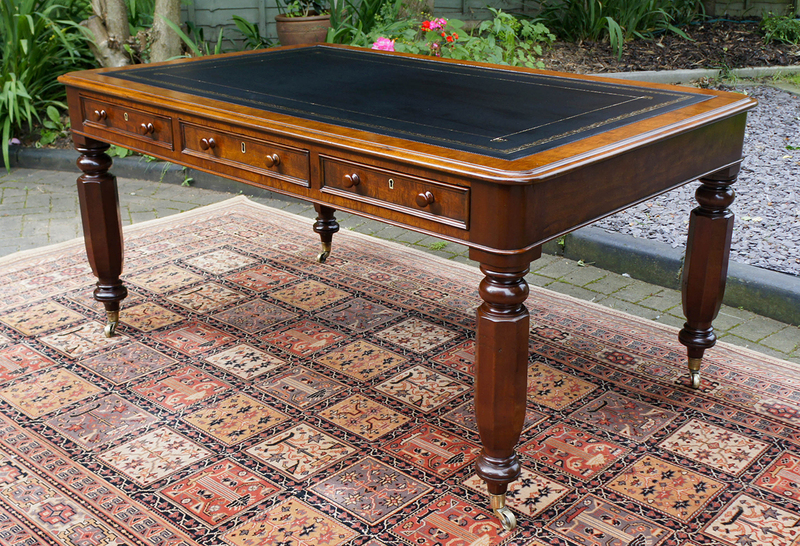 This Antique William 1V partners library table or desk is constructed from well-figured mahogany timbers. 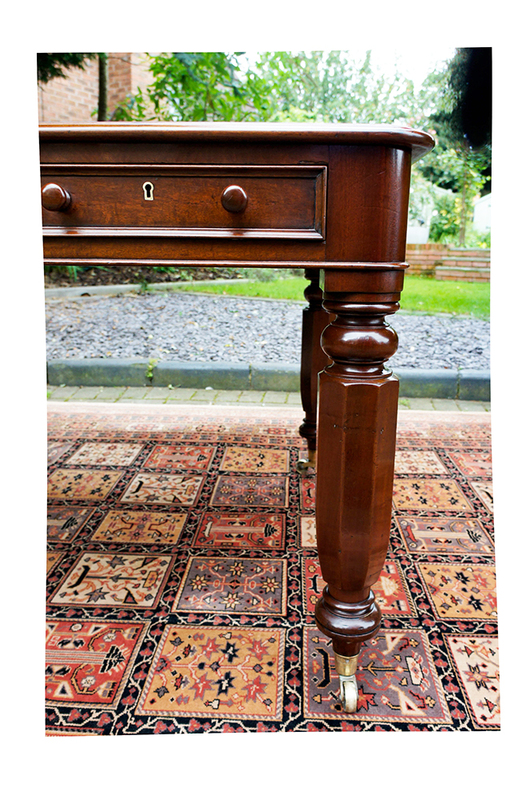 It has recently benefitted from professional cleaning and polishing which had brought out the deep rich mahogany patina. 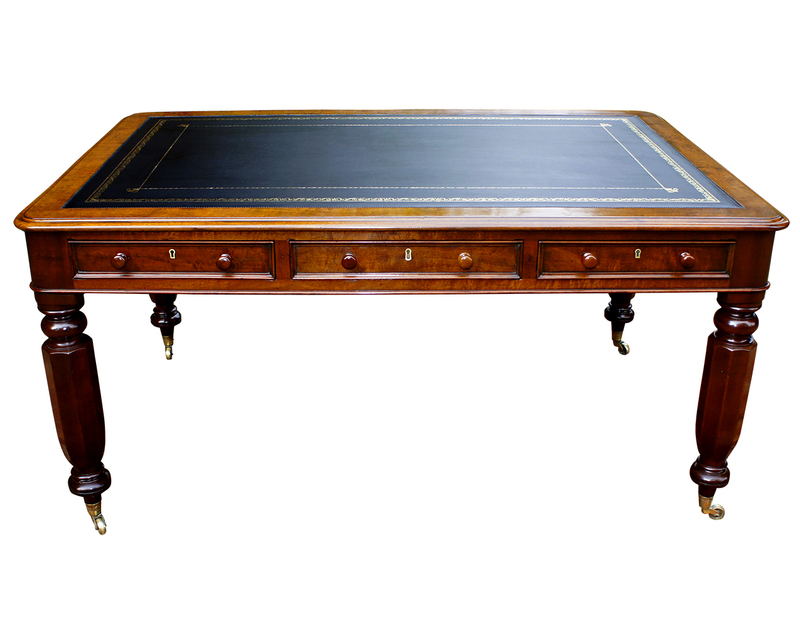 This Antique William 1V partners library table or desk is constructed from well-figured mahogany timbers. 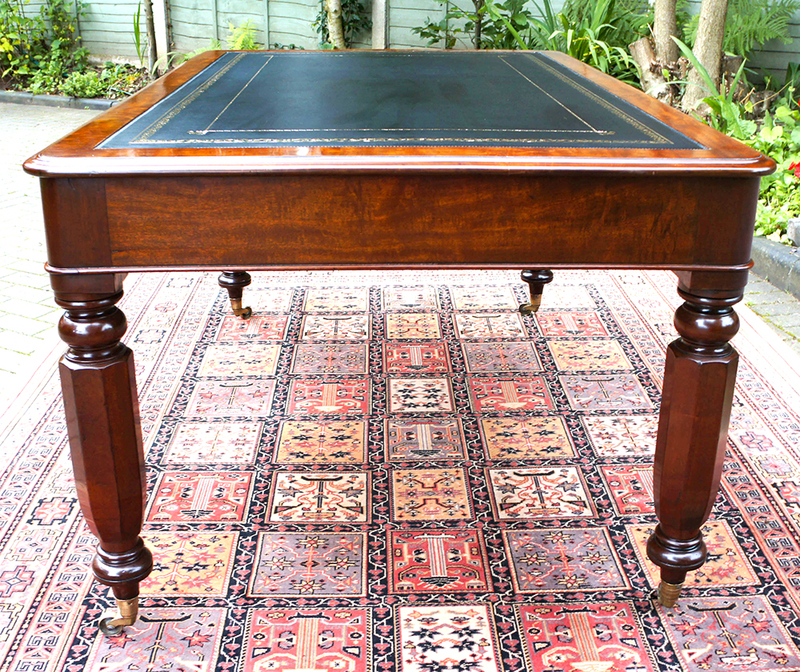 It has recently benefitted from professional cleaning and polishing which had brought out the deep rich mahogany patina. 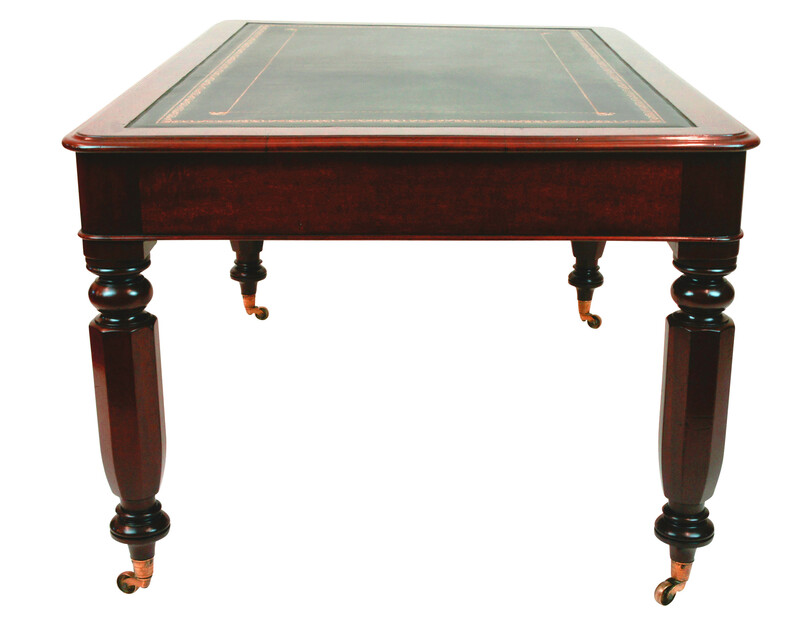 a cross band of figured mahogany and has rounded corners with a thumb-molded edge. 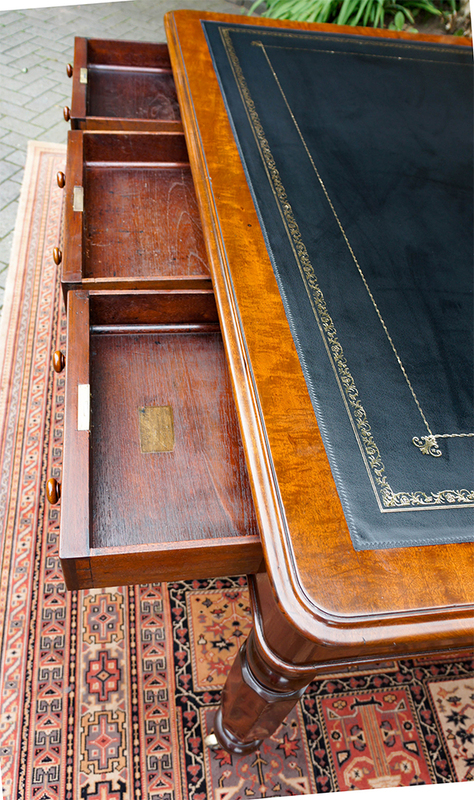 Each side of the width is fitted with three mahogany lined drawers with hand cut dovetails and brass locks and turned mahogany knobs. 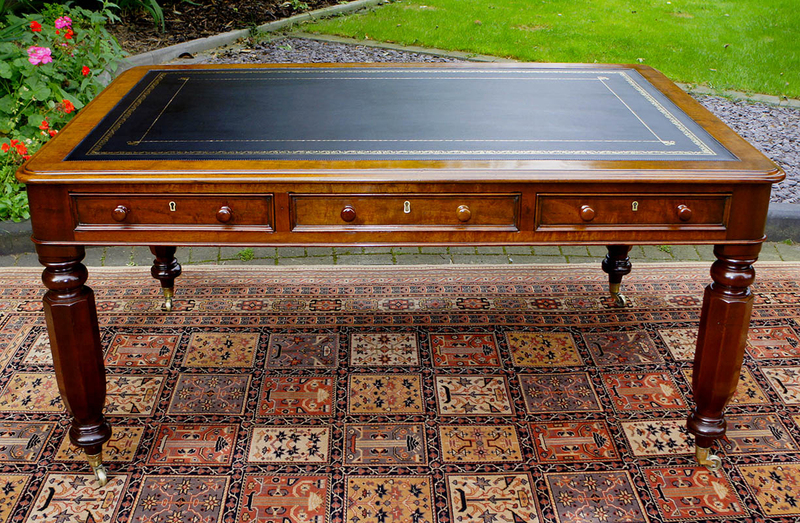 'Spillman and Spencer, Furniture Warehouse, 42 Bell Yard, Temple Barr.